Organized labor won a small but key victory on Tuesday when a federal administrative law judge rejected a proposed settlement between McDonald's and the government's top labor lawyer. The case asked who is responsible for controlling working conditions and labor law violations in a franchise model: the entity or persons operating the franchise, or the larger corporate parent (e.g., McDonald's)? Beyond the immediate liability issues at stake in this particular case, the outcome could also impact organized labor's ability to recruit new members, as unionizing a franchise's corporate parent would be significantly easier than organizing a union of each franchisee's employees. Both the corporate liability and the unionizing issue hinge on the "joint employer" tag, in which both the franchisee and the parent company would be responsible for labor law violations. If McDonald's is considered a joint employer, then future unionizing would likely happen against the parent corporation. A 2015 ruling from President Obama's National Labor Relations Board declared a corporation like McDonald's a joint employer with the subcontractor or franchisee in most cases, but the confirmation of President Trump's NLRB general counsel, Peter Robb, shifted the political landscape again. Judge Lauren Esposito rejected on Tuesday the proposed settlement between McDonald's and attorneys from the GOP-led NLRB, saying that it was not "a reasonable resolution based on the nature and scope of the violations" alleged. The settlement would have also allowed McDonald's to avoid being categorized as a joint employer. Because Esposito only rejected a proposed settlement, the fast-food icon still has options going forward. "The NLRB General Counsel, McDonald's USA, and various franchisees negotiated a settlement agreement that is fair, reasonable, and provides the opportunity now for full and complete relief to all current and former franchisee employees affected by the litigation," a spokesperson for the fast food giant said in a statement. "McDonald’s and its franchisees are evaluating our options including appealing this decision. As we have maintained throughout this process, McDonald's USA is not and has never been a joint employer with its franchisees." Matt Haller, spokesman with the International Franchise Association, said the developments could result in slower growth in a key sector of America's economy. "The upshot of yesterday is there still is significant uncertainty and ambiguity for the way 730,000 businesses operate, and that's unfortunate because these are all small businesses who could be creating more jobs, more opportunities, more employment, realizing more benefits from things like tax law, were it not for this ongoing joint employer problem," Haller told the Washington Free Beacon. There is some confusion in the courts at the moment; a federal judge in Chicago ruled in late June that Jimmy John's sandwich franchises were not joint employers. "While Jimmy John’s imposes strict guidelines on how franchisees run their restaurants—from the ‘appropriate way to spread mayonnaise' on a sandwich to how to organize items in the refrigerator—it does not have the power to hire or fire employees or determine whether they should be paid a salary or hourly wage, U.S. District Judge Charles Kocoras ruled," according to the Chicago Tribune. A bill passed in the House in November of last year would address the disparate rulings and definitions but is still pending in the Senate. "The legislation that passed the House would simply say you can only be a joint employer if you exercise direct control over another businesses' labor and employment matters," Haller said. Haller said things like hiring, firing, scheduling, and setting wages would define "direct control" under the pending legislation. However, compliance with branding standards, such as a standard uniform with a company logo worn by employees of the franchise, would be indirect control. "Those are the kind of things that were direct, clear, and long-held precedent that were blown up with the 2015 Browning Ferris case by the [NLRB]," Haller said. The NLRB declined to comment. An attorney for the Service Employees International Union and others in the case argued that the parent company has to maintain some kind of involvement, as the joint employer tag provides. 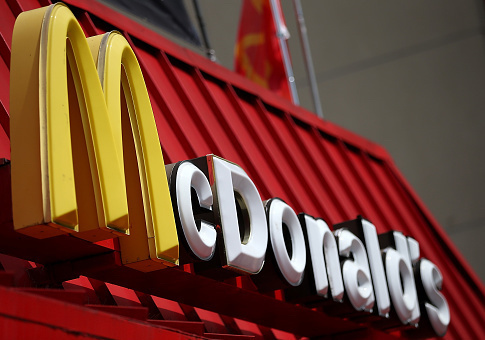 "The way this is all structured, all the liability is on the franchisees, there is no obligation on McDonald's part," attorney Micah Wissinger was quoted as saying by the New York Times. "Part of why she [the judge] rejected it is that they have no real obligations to do anything." This entry was posted in Issues and tagged McDonald's, Unions. Bookmark the permalink.